Hot Under the Collar? 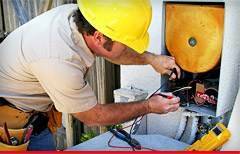 Need Your Home Air Conditioner Fixed Today, Not When the Technician Decides to Show Up? At All County Home AC Repair our proven reputation of over 35 years of talked-about customer service is why we’re considered the best. We know that needing a home AC repair is probably making you uncomfortable, so we’ll do everything we can to get your system working as fast as possible. 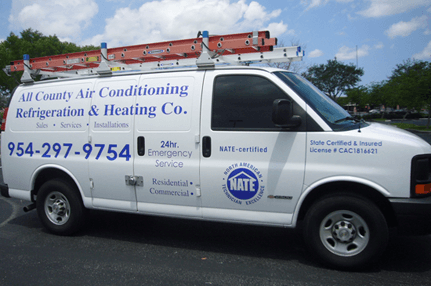 As one of South Florida’s most experienced home AC repair companies, we have the staff to respond to you quickly. Don’t wait in line for another company; complete our priority request and get fast service. Wondering If You Can Afford the Repair? You work hard for your money, and we make sure to work hard for you. We offer quality air conditioning service at an affordable cost, without bloated service fees or hidden emergency charges. Not Sure What’s Wrong? Don’t Worry, We Do It All! Our residential home ac repair services include any necessary replacement parts, system modifications or HVAC ductwork repair, and we service all of the Broward County area, including Fort Lauderdale, Plantation, Sunrise, Hollywood, Pembroke Pines, Tamarac, Coral Springs, and Parkland. Should I Repair or Replace My AC System? How are you supposed to know whether your home air conditioner is worth fixing? Let the experts do the thinking for you. If you need a residential installation or replacement, we will assess your problem and help you eliminate unwanted expenses and worry. Need help with your commercial ac repair? We do that, too! Fill out our Priority Service Request form, and let us get to work for you! Our NATE certified technicians wear shoe covers and use drop cloths to protect your home. All County’s staff is courteous, uniformed and will always respect you at your home. We promise that your system will be thoroughly checked to determine the problem. Often a simple solution like adding refrigerant to your system or changing a dirty air filter will have you up and running again. The good news is that we never charge extra, regardless of the time you call with any home AC repair. 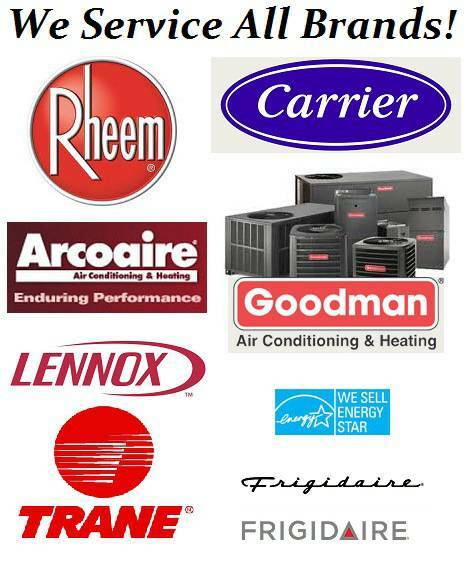 There are many brands of air conditioners, but our technicians carry a truck full of parts for all major brands. Our expert technicians can repair any air conditioner (of any model, capacity etc). Servicing of any model of air conditioner irrespective from whom it was purchased. 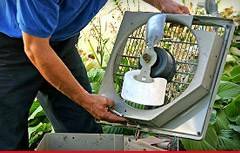 Apart from all the above factors, All County Home AC Repair offers the best annual maintenance service in the market for all types of AC Repair systems ranging from HVAC to centralized systems. And the best part is once you have us either tune-up your AC Repair unit or make a repair, the regular servicing and maintenance will be scheduled automatically without you having to keep track of when the next servicing is due. Home AC Repair	Overall rating:	5	out of 5 based on 3	reviews.